Ongropack Ltd. is fully aware that the pharmaceutical industry demands safe, high quality packing materials, therefore we offer our ONGROFOL® PHARMA type film for the packaging of pharmaceutical products. Pharmaceutical films manufactured by Ongropack Ltd. are in compliance with latest European Pharmacopeia directives and have FDA (Food and Drug Administration) registration. 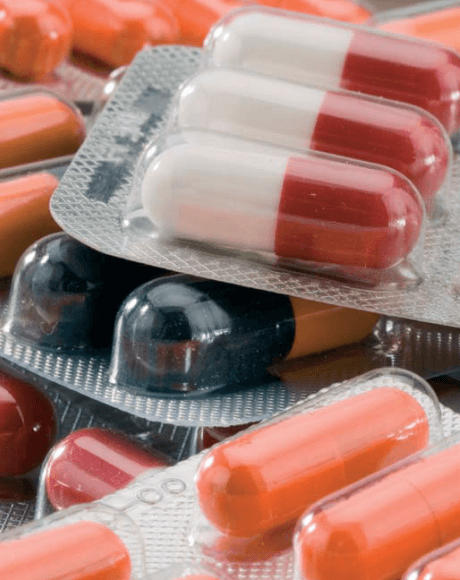 Pharma type films fully comply with EU regulations related to plastic materials and articles intended to come into direct contact with food and drug. These films have excellent gas-tight property. Therefore they can be used in wide range as both primary and secondary packaging material. We can offer a wide range of products in clear, translucent and opaque colours for high demanding pharmaceutical applications. Ongropack Ltd. considers the production, continuous development and sale of pharmaceutical films of strategic importance.